Classic Brno .22 semi auto with open sights fitted. Threaded barrel and also scope mount bases, bargain part exchange to clear. 1975 Original BRNO Mod 2. 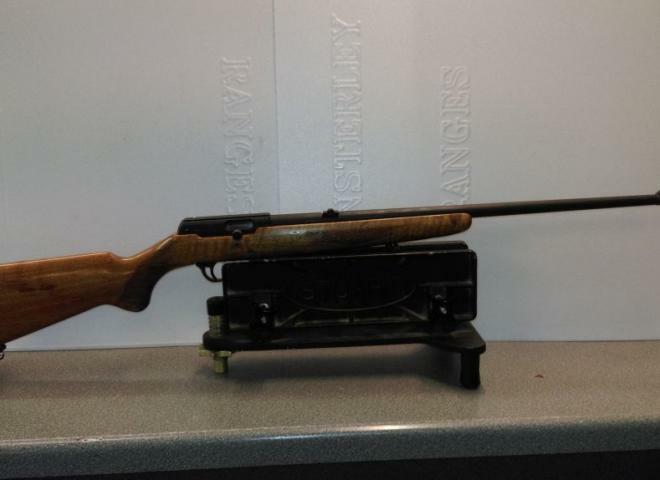 Compete with an ASI 4x32 scope - Iron sights still present and in good working order. A stunning piece of woodwork. Very light use, 1 x owner from new. 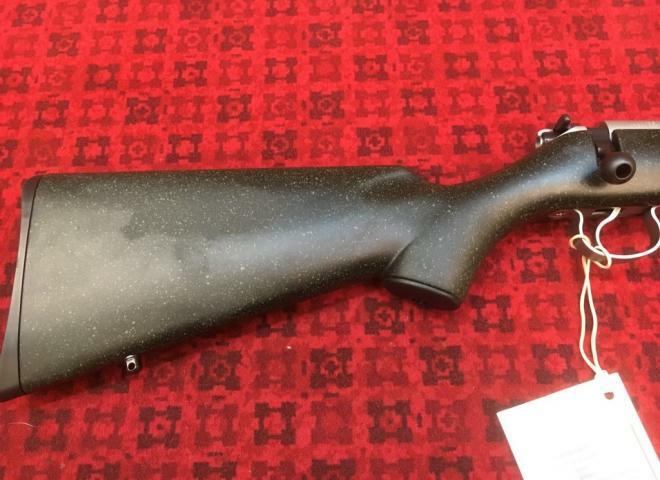 Fine example of a well presented Second Hand rifle. WITH AGS 3-9X40 SCOPE AND SLING. SCREW CUT. 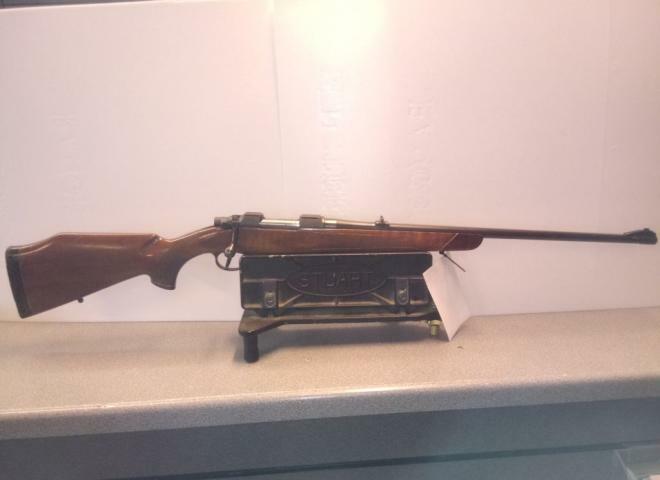 Tidy Classic semi auto .22LR , complete with Japanese made Nikko Stirling Special 4 x 32 scope and moderator . 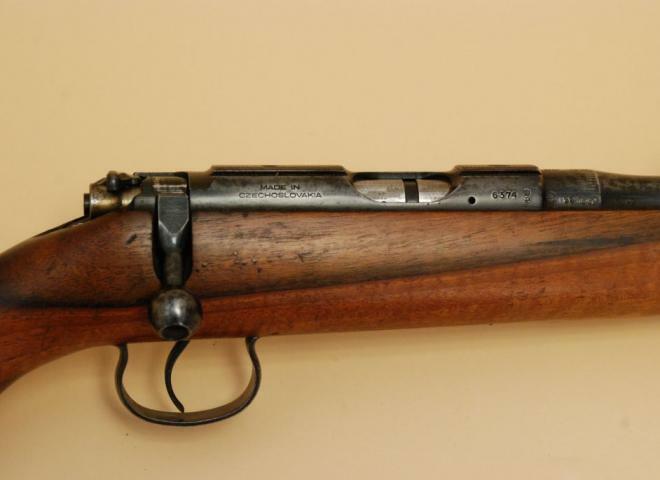 BRNO Model 2 .22LR Bolt Action Rifle. 24" Barrel. Sound moderator increases barrel length to 28". Supplied with 2 magazines and a Parker-Hale sound moderator. Fitted with an Hawke Sporter HD 3-9x50 scope. 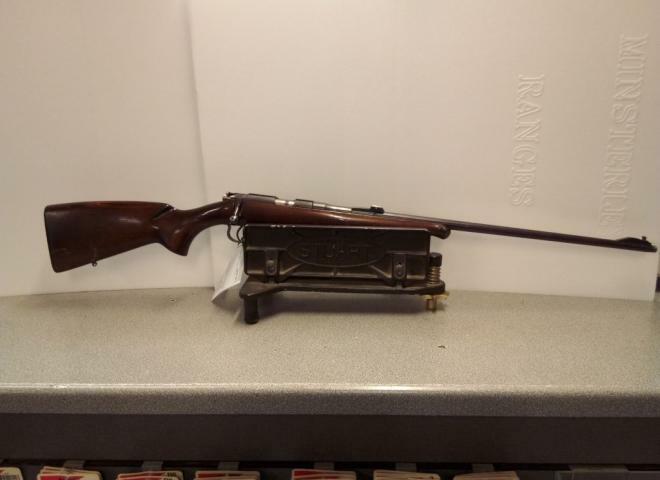 Good condition, normal marks scratches consistent with use and age, retains iron sights, threaded 1/2 UNF. 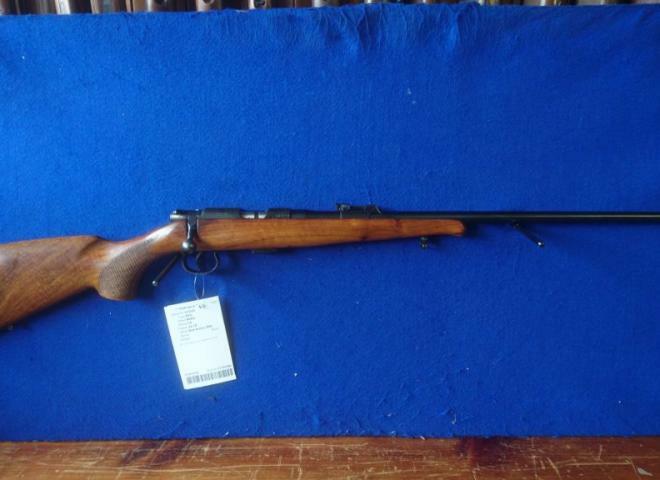 A classic BRNO model 2E-H in .22lr caliber. 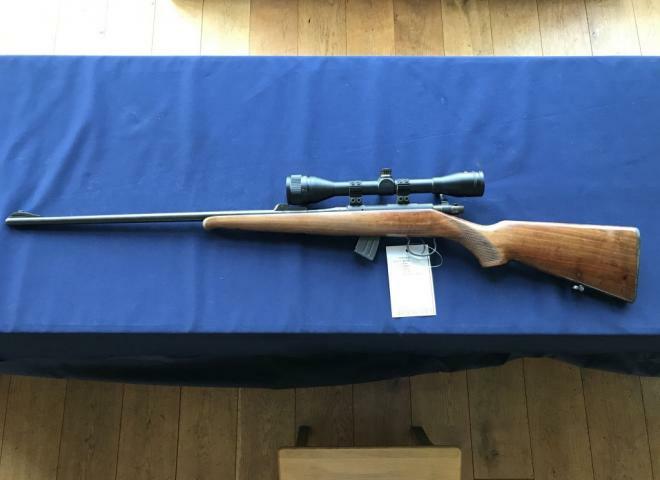 This is an excellent example of this extremely reliable and accurate sporting rifle. 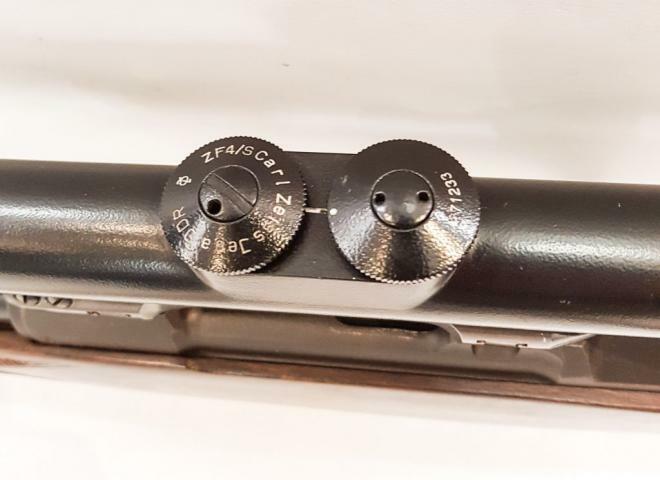 The BRNO 2E-H comes with a nice little `6x40 duplex scope and a ten round magazine. 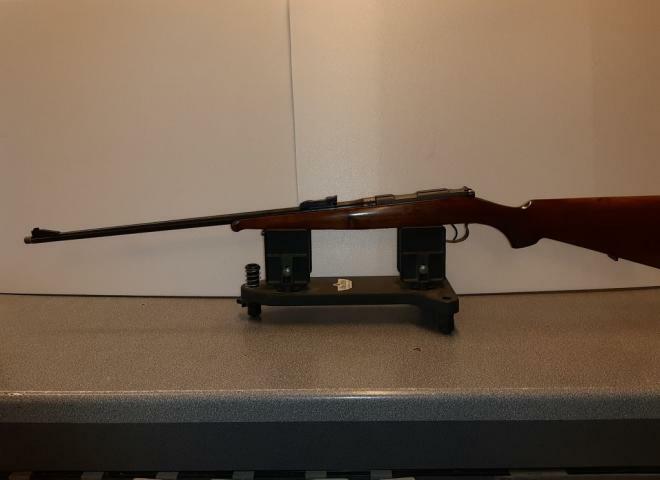 A used Brno (CZ) .22LR Bolt Action rifle complete with sound moderator and Kassnar wide angle scopes. Good condition, minor marks and scratches consistent with age and use, threaded 1/2" UNF, comes with sling attached. Good condition, some marks and scratches consistent with age and use threaded 1/2" UNF. Less than 50 rounds fired. Complete with sound moderator and scope, great value and ready to go. Barrel has been shortened and recut, few marks on stock... but it £125 and works and shoots fine. We always have in stock a wide range of rifle accessories and ammunition. 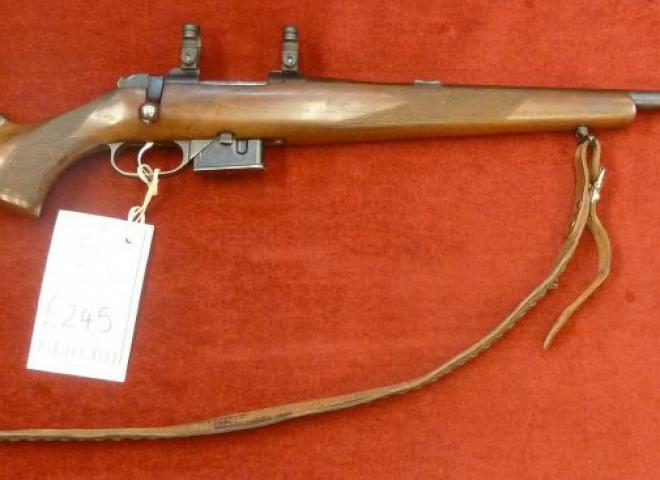 BAVARIAN STYLE STOCK FITTED WITH 9 TO 15 INCH BIPOD. & QUALITY LEATHER SLING. BARREL IS SCREWCUT 1/2"UNF AND IS FITTED WITH WILDCAT EVOLUTION SOUND MODERATOR. WAS £245.00 NOW ONLY £189.00!!! Includes moderator, Optima 4x40 Wide angle scope and mounts.